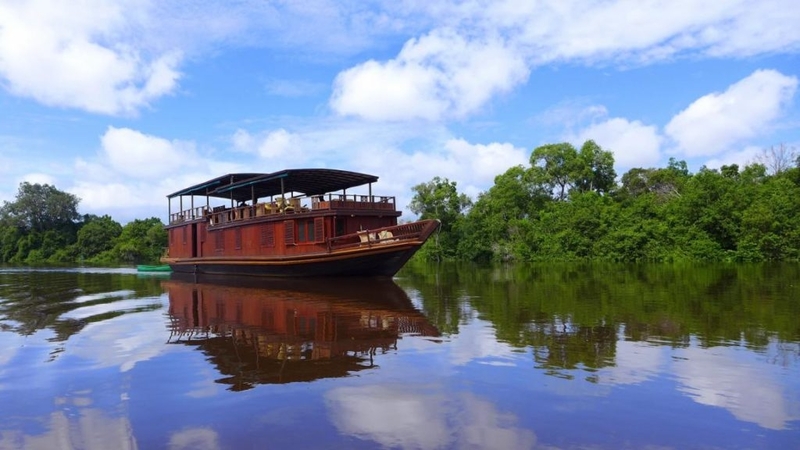 Cruising by air-conditioned riverboat along Kalimantan’s meandering rivers is the best way to travel through the forested landscape of Borneo, with its wealth of ecological and cultural treasures, and to experience Borneo’s iconic and endangered orangutans. As we explore the rivers, we’ll pass islands managed by Borneo Orangutan Survival (BOS) Foundation to see orangutans in their natural habitat. We’ll also visit a small village along the route, giving the opportunity to experience the culture of the indigenous Dayak people firsthand. This trip culminates with two days exploring Sebangau National Park, one of the last remaining peat swamp forests in Borneo. In addition to our local English-speaking guide, we’ll have an expert birding guide join us for the river cruise to maximize our wildlife sightings along the way. DAY 1 (Tues, May 28) – Jakarta ~ Upon arrival to Jakarta, one of the world’s megalopolises and the capital of Indonesia, we’ll be met for our private transfer to our hotel close by. There’s time to rest this evening after our journey. For those interested in exploring from the get go, Jakarta is a dynamic city that showcases the diversity of cultures Indonesia has on offer. remain the best way to travel through the forested landscape. We’ll spend the next three days exploring the river on our private riverboat with our expert guides. 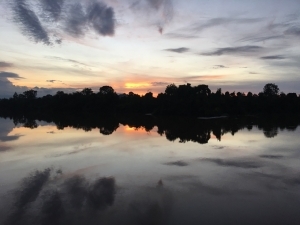 The orangutans are sure to be a highlight, but we’ll also search for diverse wildlife along the river’s edge and learn about the Dayak culture. This evening, enjoy canoeing across a shimmering black water lake with a stop at Kalaweit Island for a stroll. Keep an eye out for proboscis monkeys, hornbills and Brahmini kites. We’ll return to the riverboat in time for a quiet dinner in the midst of the forest. Rahai’i Pangun II~ The Rahai’i Pangun II is a 22×6 m traditional Kalimantan river boat known as a bis air, which was converted into a beautiful riverboat designed for orangutan cruising. The boat’s design and specifications were implemented by teams of Indonesian master boat designers and engineers and built by local craftsmen. Meals are served on the upper deck as the scenery glides by. Enjoy Rahai’i Pangun cuisine prepared by your on-board chef. Local guides introduce you to Sebangau National Park, to the black water lake systems, and the Dayak culture in villages along the route as the Rahai’i Pangun II navigates the broad Katingan River. For this scheduled group departure, we’ll have Rahai’i Pangun II on a private basis along with an additional local birding guide. home gardens, rubber field & rubber tapping demonstration, and other traidtional ways of life. Continue to Tangkiling Hill to see traditional Dayak spirit houses. Our day ends with a cruise to Lake Tahai. DAY 4 (Fri, May 31) – Sei Gohong/ Muara Rungan ~ Optional dawn birding walk and canoeing in the black water lake. 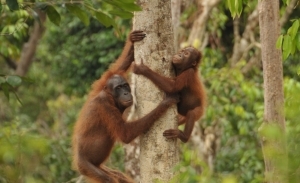 Full day of river cruising for wildlife viewing and visits to orangutan pre-release islands. Day 5 (Sat, June 1) – Muara Rungan/ Palangka Raya ~ Return to Palangka Raya to disembark the Rahai’i Pangun II. Afternoon transfer to our hotel. Palangka Raya is the capital of Central Kalimantan, also famously known as Central Borneo. Most of the area around Palangka Raya is still forested and protected. Central Borneo is known as the lung of the world for its vast and fertile tropical jungles and forests. It’s also slated to become the next capital city so conservation efforts in the region are vital. Sebangau National Park~ Located in Central Kalimantan, Sebangau National Park is one of the last remaining peat swamp forests in Borneo. 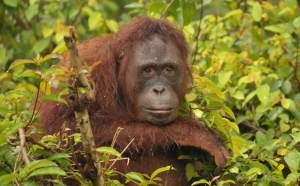 The vast national park covers approximately 568,700 hectares and is home to over 6,000 orangutans, forming one of the world’s largest populations in the wild. It’s also home to other iconic species such as the Malayan sun bear, gibbons, hornbills, clouded leopard, and many more. Amidst the peat swamp forests, the Sebangau also offers beautiful scenery of pristine hills. Days 6-7 (Sun, June 2 – Mon, June 3) – Palangka Raya/ Sebangau National Park ~ We have these two days to explore Sebangau National Park. On our first day, we’ll drive by car to Kereng harbor to enter the national park. Accompanied by national park rangers, we’ll continue our journey by motorized canoe across the beautiful black water Sebangau Lake and up the Sebangau River. This is a trip of approximately 40 minutes. From here, we continue by smaller canoe to pass slowly through the dense Nipa Forest labyrinth to the starting point of our trek. The journey by boat will depend on the river depth. Walking through swamp forest is a challenge, especially when water levels are high. The walk will take about 2-3 hours. We’ll be accompanied by a local guide who can point out the endemic vegetation as well as keeping an eye out for local species such as hornbills, monitor lizards, and more. 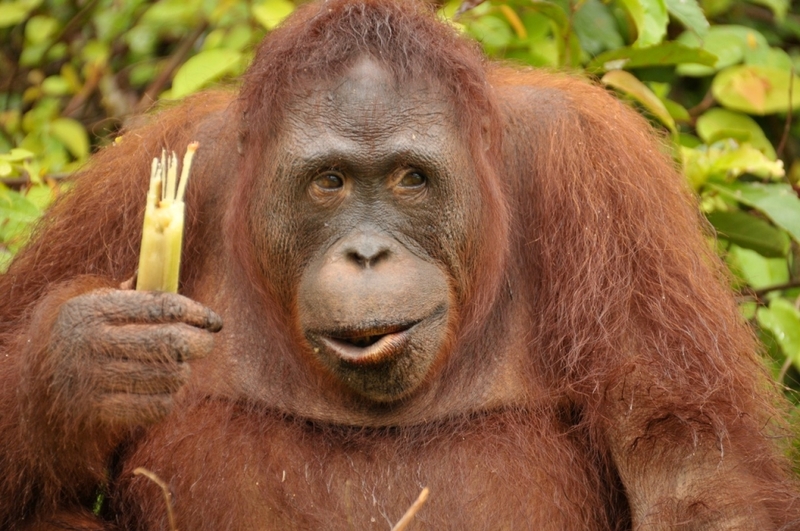 If we’re lucky, we may even spot more orangutans. We’ll explore another area of the national park on our second day. Day 8 (Tues, June 4) – Palangka Raya/ Jakarta ~ We’ll transfer back to the airport for our flight to Jakarta where we’ll spend our final night in Indonesia. Share trip highlights with fellow travelers during our farewell dinner. Day 9 (Wed, June 5) – Departure ~ Transfer back to the airport in time to connect to your morning flight home. Price: $3395* per person based on double occupancy. Single accommodations – subject to availability. Package includes accommodations, Rahai’i Pangun II on a private basis in air-conditioned rooms, meals as listed, all land transportation and airport transfers in air-conditioned vehicle, guided excursions as listed, expert local English-speaking guide on private basis from Days 1-8, expert local Indonesian-speaking birding guide from Days 2-7, and full-time guide/trip host from R2R (Sheridan Samano). A donation to support BOS Foundation’s conservation efforts will be made on behalf of all participants. Exclusions: international airfare, passport and visa fees, travel insurance, health preparations, drinks, gratuities, taxis, and items of a personal nature.